What Statistical Tools of Analysis Are Used in Survey Research? Sampling refers to the act of selecting a specific number of entries from a large set of data for further analysis. Business research often generates vast quantities of data, especially in market-focused research such as demographics. Sampling techniques in business research allow researchers to work with a more manageable subset of data that they believe accurately represents the trends in the larger collection. Businesses gain research data from which to take samples in two distinct ways. The first, primary research, involves digging up data from its sources. 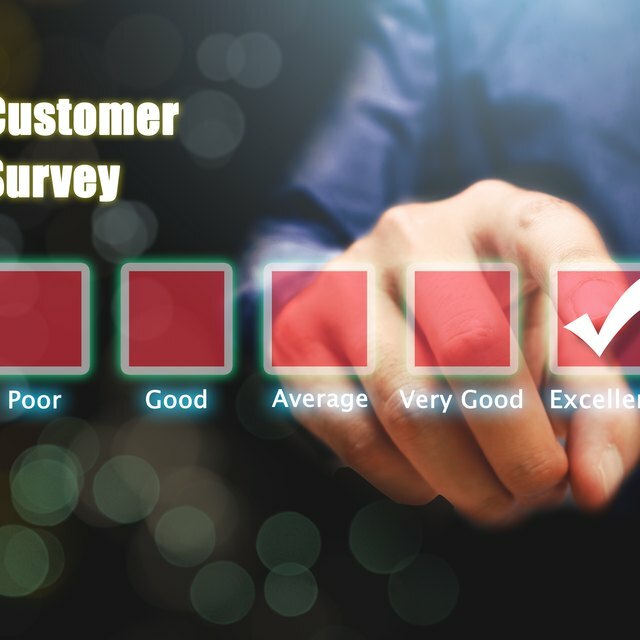 Surveys are the most popular form of primary research, whether conducted in person, over the phone, via the Internet or by any other means. The results of primary research are proprietary, meaning no other company has access to the results of primary research unless it is specifically granted by the researcher or made available to the public. When primary research results are shared with other researchers, the other researchers are performing secondary research. Secondary research essentially relies of the efforts of others who have taken the time to compile large sets of relevant and valuable data. Looking up average income figures from the Bureau of Labor Statistics is an example of secondary research. Since the bureau has already performed the extensive surveying and compiling of the data, other business researchers can take advantage of the data with little or no cost. Random sampling involves choosing a certain number of data items completely at random, then using the sample for further analysis. Random sampling can be an effective technique when analyzing fairly homogeneous sets of data. Imagine a company looking to determine the percentage of people who are diagnosed morbidly obese in a particular state. Rather than working with a data set of several million entries, the company could reasonably analyze a random sample of several hundred entries to arrive at a number that approximates the statistic of the entire data set. What Are Extraneous Variables in a Research Survey? What Is the Meaning of Research Report? Nth name sampling, also referred to as systematic sampling, is similar to random sampling, except that it reduces the influence of arbitrary data selection. Systematic sampling involves selecting every nth data entry for inclusion in a sample. If you had a data set of one million survey responses, for example, you could select every thousandth entry to include in a sample, leaving you with a more manageable sample of one thousand entries. Controlled sampling takes highly specific samples from a fairly heterogeneous set of data. Controlled sampling is most valuable when performing secondary research, since primary research can be designed to target only specific respondents if desired. Imagine a company that purchases a large data set containing information on survey respondents' age, ethnicity, education and income levels. If a company wanted to determine the average income levels for a certain age group, the company could build a sample consisting only of entries that meet the specific age criteria before calculating the income figure.